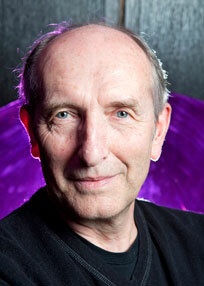 Vaclav Smil is considered one of the leading experts in energy issues. His interdisciplinary research interests encompass the broad areas of energy, the environment, food, population, the economy, history, and public policy. Much of his work challenges conventional Western environmental and geopolitical thought, such as peak-oil theory, carbon sequestration, and various other energy-related ideas. Smil is a Distinguished Professor Emeritus in the Department of Environment and Geography at the University of Manitoba, and has recently been appointed by the Governor General of Canada to the Order of Canada. He has also worked as a consultant for many US, EU, and international institutions. His recent works include: Should We Eat Meat? Evolution and Consequences of Modern Carnivory (Wiley-Blackwell, May 2013) and Harvesting the Biosphere: What We Have Taken from Nature (MIT, January 2013), among many others. In 2010, Smil was listed by Foreign Policy among the Top 100 Global Thinkers. Medieval and early-modern civilizations were relatively stable societies: their environment, population and health, primary energy sources, food production, artisanal manufacturing, cities, and transportation were all changing at a slow pace. In contrast, during the nineteenth century those conditions began to change at an unprecedented pace. During the twentieth century, these shifts embraced all but a small share of humanity, and they have only since deepened in infrastructural and international terms. Vaclav Smil assessed where these fundamental, concatenated shifts stand at the beginning of the twenty-first century. He focused on the progress and dynamics of demographic transition, energy supply, food production, technical innovation, and global environmental change, outlining the magnitudes and complexities of likely developments, as well as some rational options to create a newer world.